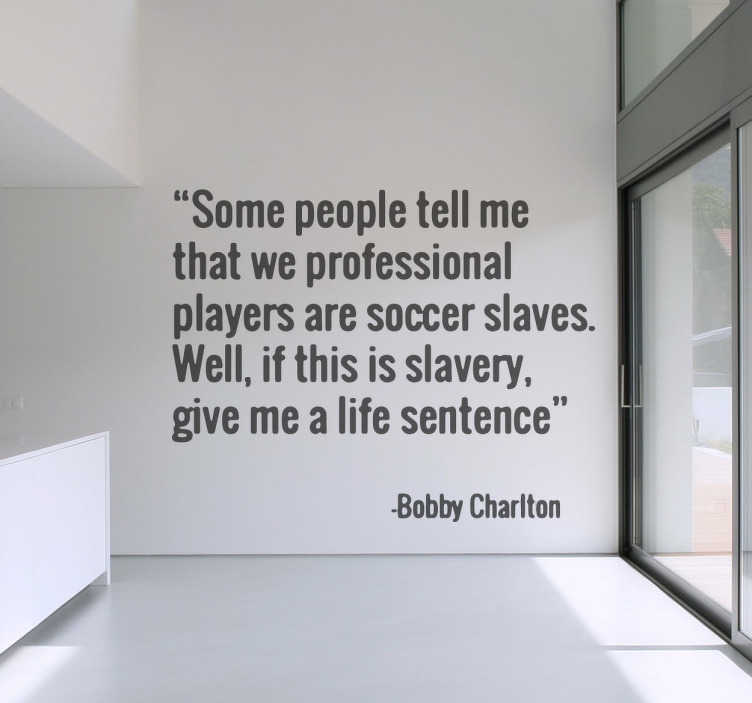 A superb text wall sticker displaying a fun and inspiring quote by Bobby Charlton. Great monochrome decal for football fans out there. Decorate your living room with this unique design that your friends will love! Choose your favourite colour and a suitable size.